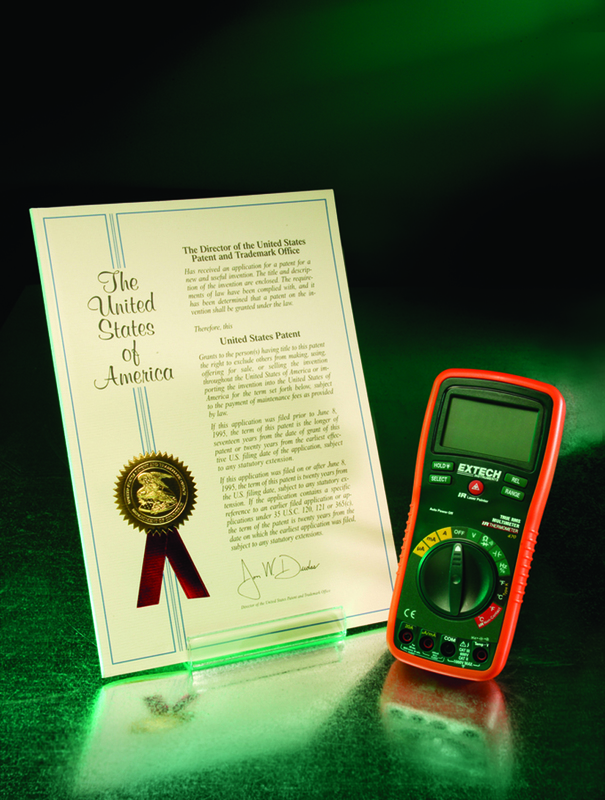 Extech Instruments (http://www.extech.com/instruments), a subsidiary of FLIR Systems, Inc., (NASDAQ: FLIR) was awarded top honors in a roundup of 18 websites of top handheld test and measurement manufacturers, scoring a near-perfect 98% rating and a "best" rating in 7 out of 9 categories. The ratings are featured in the WebReviews section of the February 2009 issue of Industrial Equipment News. about as flawless an industrial site as you'll find…This is the real deal…It's that good. Extech Instruments, a subsidiary of FLIR Systems, Inc., (NASDAQ: FLIR) was awarded top honors in a roundup of 18 websites of top handheld test and measurement manufacturers, scoring a near-perfect 98% rating and a "best" rating in 7 out of 9 categories. The ratings are featured in the WebReviews section of the February 2009 issue of Industrial Equipment News. Extech's website was described by IEN editors as "about as flawless an industrial site as you'll find…This is the real deal…It's that good." Editors gave Extech "best" ratings in categories such as registration friendliness, ease of use and navigation, general product information, engineering and technical content, downloads and knowledgebase, engineering tools, as well as support. Commenting on extech.com's ease-of-use, IEN WebReviews stated, "Don't let the simple, easy-to-use homepage deceive you--someone has put a lot of thought, planning, effort into this site and in doing so, makes it look deceptively easy." Product pages were lauded for "to-the-point, bulleted features and benefits along with PDF datasheets, links to supplies and accessories and related details, user manuals, distributor stock status, videos, and distributor locator." IEN editors were also surprised by Extech's extensive, registration-optional, open software area and "truly useful FAQs." Extech general manager, Jerry Blakeley, commented on the recent honors, "We rolled out the new Extech.com website in Q4 2009 as the result of integrating extensive feedback from customers and distributor partners around the world. Consistent with our history of offering innovation, selection and support, our primary goal for Extech.com was to offer the best in functionality, content and usability in the handheld test and measurement market. We're extremely pleased to have those efforts recognized by Industrial Equipment News WebReviews, setting the standard high for test and measurement websites." 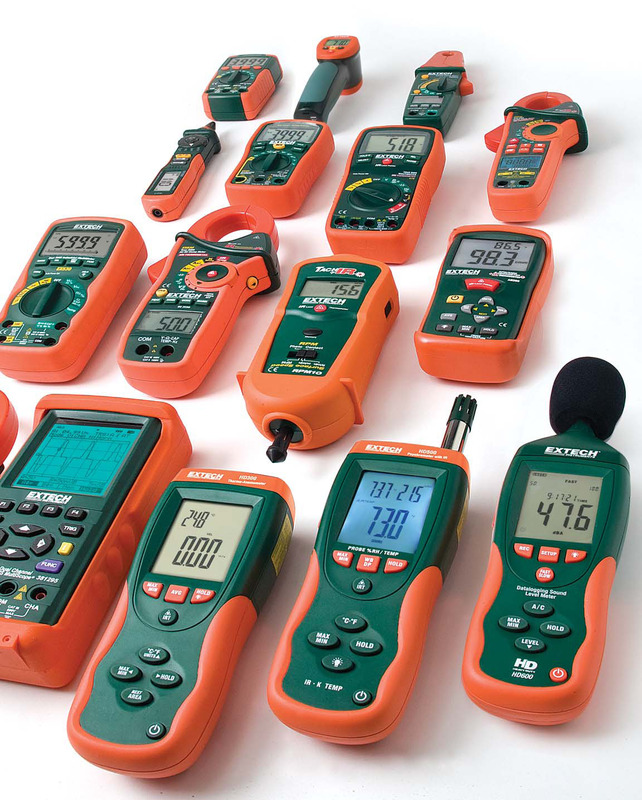 The 98% Extech Instruments website rating bested 17 other sites from handheld test equipment makers such as Amprobe (85%), Cooper Instruments (81%), Fluke (88%), Greenlee Textron (80%), Ideal (83%), Megger (79%), Meterman (82%), Triplett (81%), and others. The ratings ranged a span of 19 points from 79% to 98%. IEN's WebReviews analyze nine categories for each site, rating them Good, Better, or Best. The overall site % score integrates scoring of these categories with reviewer ratings. To view the detailed Extech.com website review, click here. To read the overall story with complete ranking information for all handheld test equipment and measurement vendors, click here. Extech.com Ranked Top Test & Measurement WebsiteMS Word version Patented Built-In IR Functionality HIGH RES IMAGE -- Extech Instruments product photoHi-Res JPEG. Email for hi-res EPS file.